The Pretty Things Peepshow 10 year anniversary tour! Featuring go-go Amy, The unkillable Jenny Lynne, Matt Scott of Rasputin’s Marionettes, Scraps The Mind Reading dog and all the way from the UK special guest Rachel Atlas. 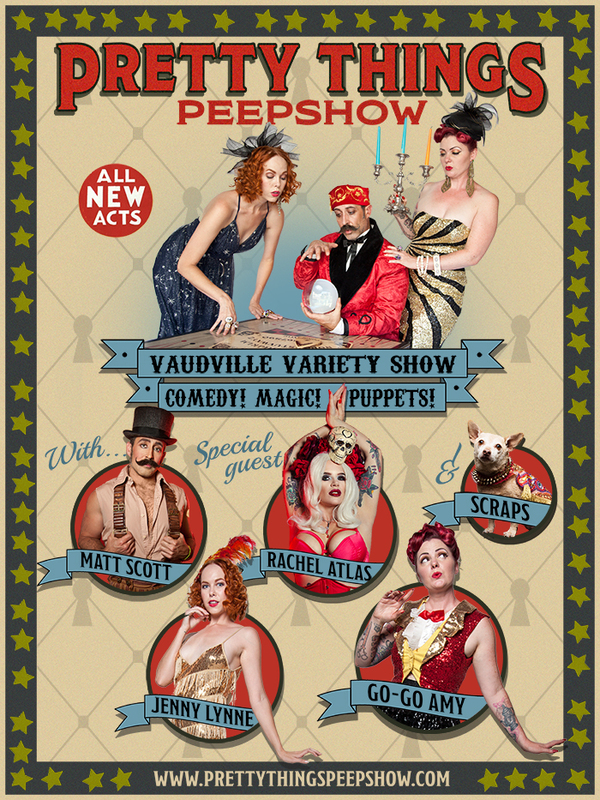 This magical one of a kind vaudeville variety revue has circled the globe performing stunts of skill and courage including sword swallowing, quick change magic, puppets, handcuff and straight jacket escape, sword ladder, the execution blade box, singing, comedy, a talking dog and more. Come see the awe inspiring acts these vivacious vaudevillians have to offer!